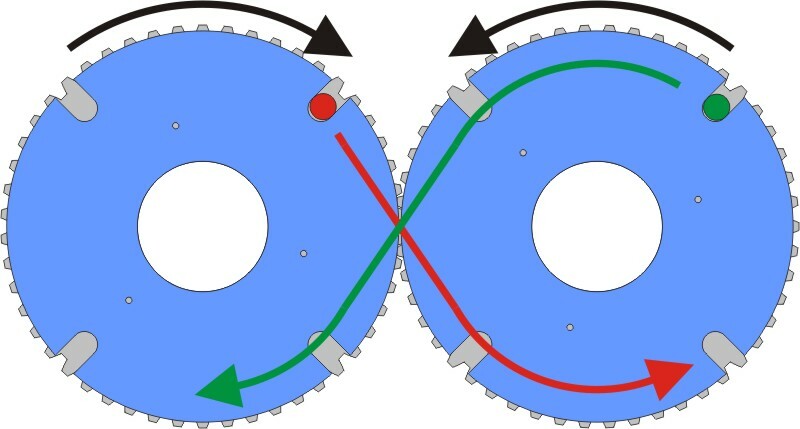 The braider uses 6 gears connected in a circle. Each gear drives a plate with 4 notches. The notches drives pegs mounted on spool runners (red and green dot). The runners are guided by a track following the movement of the grooves except where each of the gears meet. Here a switch track let the runners pass from one plate to another.